Thursday, September 19 6:30 a.m. - 6:00 p.m.
Friday, September 20 6:30 a.m. - 7:00 p.m.
Saturday, September 21 7:30 a.m. - 5:00 p.m.
Sunday, September 22 7:30 a.m. - 4:30 p.m.
Monday, September 23 6:30 a.m. - 5:00 p.m. 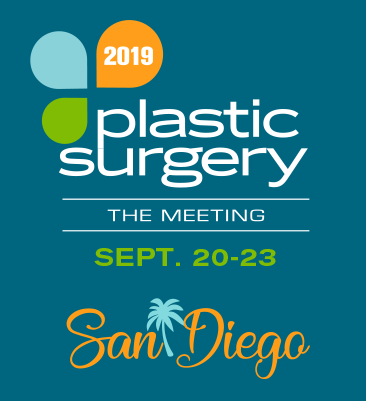 Simply bring a copy of your registration confirmation to an Attendee Check-In kiosk at the San Diego Convention Center for expedited service. All confirmations will include a barcode that will allow for easy scan-and-go access. Badge pickup will be available at the Conference Registration desk located on the Lobby Level in the Hilton San Diego Bayfront from 6:30 a.m. - 6:00 p.m., on Thursday Sept. 19 and Friday, Sept. 20. Bring a copy of your registration confirmation to expedite badge pick-up. Visit the On-Site Registration Desk at the San Diego Convention Center. For those not registered in advance, or in need of changes to their existing registration, please visit the On-Site Registration Desk, beginning Thursday at 6:30 a.m.
Each registrant will receive a bar-code badge, which is encoded with access to registered courses and events. This badge will be scanned for entry into each course or event, as well as, used for information exchange in the Exhibit Hall. ASPS fully complies with the requirements of the Americans with Disabilities Act (ADA) and will make every reasonable effort to accommodate special needs, as time allows, to enhance your participation. Please indicate any ADA requirements during the registration process or call ASPS Member Services at (847) 228-9900, ext. 471 prior to your arrival.